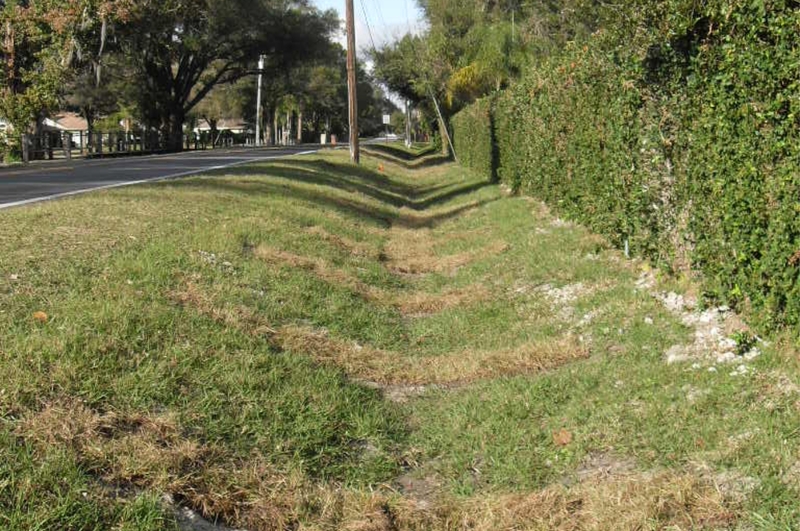 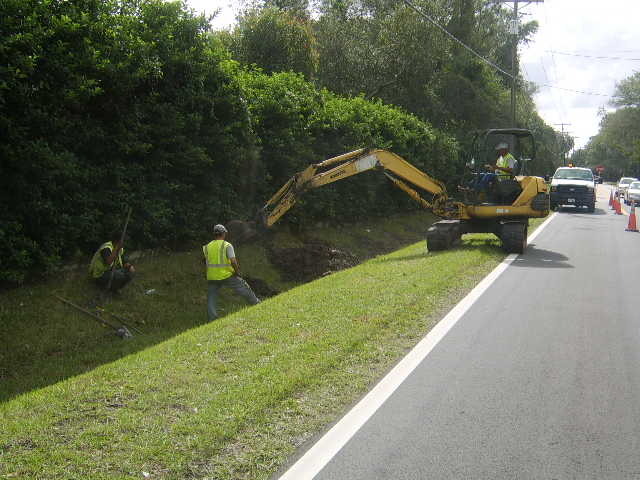 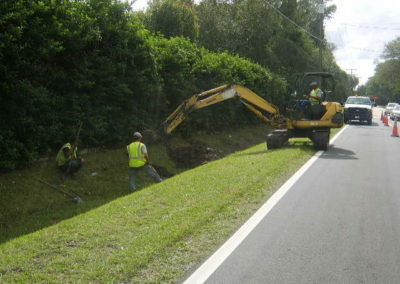 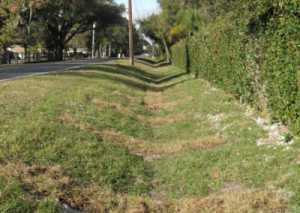 The county of Hillsborough improved the outfall from the Reynoldswood subdivision pond through a conveyance system along Ehrlich Road to the tributary of Sweetwater Creek. 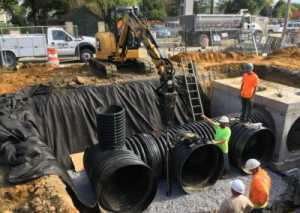 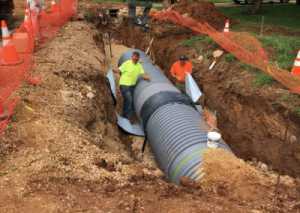 By constructing a new swale and installing 1,300 linear feet of 24” diameter high-density polyethylene (HDPE) pipe, the excess water from the pond could be transported to the creek. 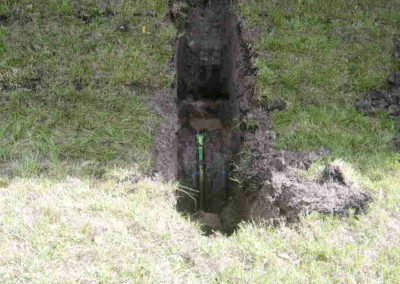 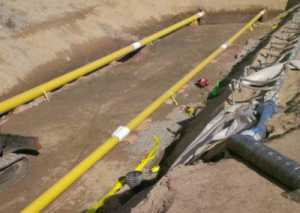 The pipe was backfilled with 2 feet of compacted sandy material, but high ground water caused the pipe to become buoyant. 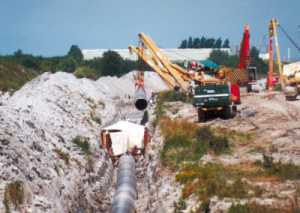 To prevent a redesign of the pipeline, a quick and easy way to counteract buoyancy was through the use of a Platipus 2 Ton Pipe Kit. 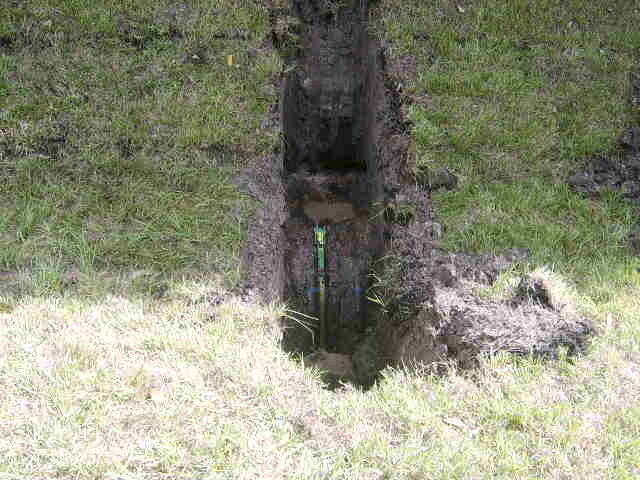 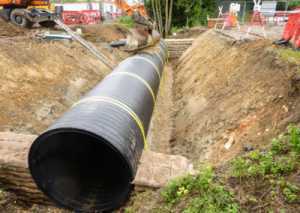 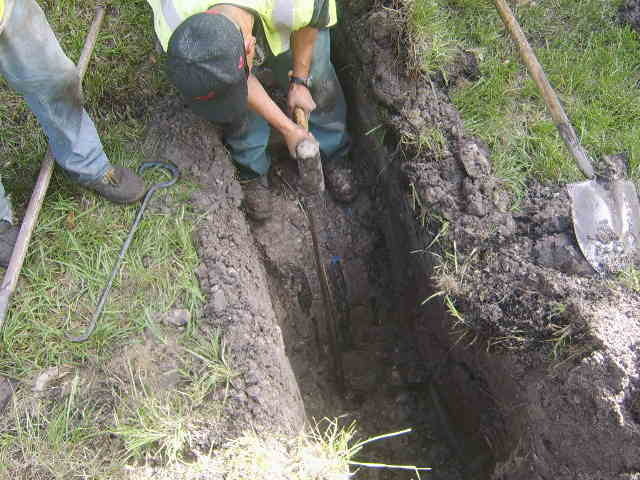 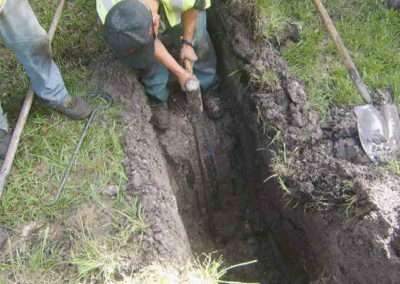 The cost effective solution removed the need to re-excavate the trench and backfill with stone or concrete. 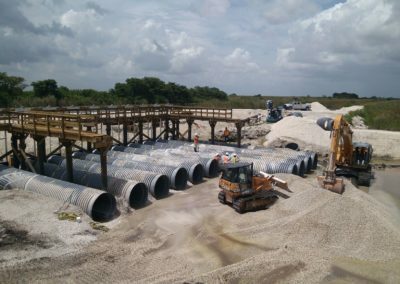 Within one week, all 1,300 linear feet of pipe was secured every ten feet by driving an anchor on either side of the pipe and installed with a specifically designed tensioning system. 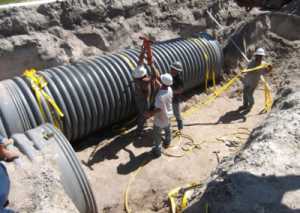 Pipeline Anchor System: S06EA aluminum alloy anchor c/w 1.5m of 6mm Ø stainless steel wire tendon, 35mm wide polypropylene webbing strap, delta link & strap tensioner.